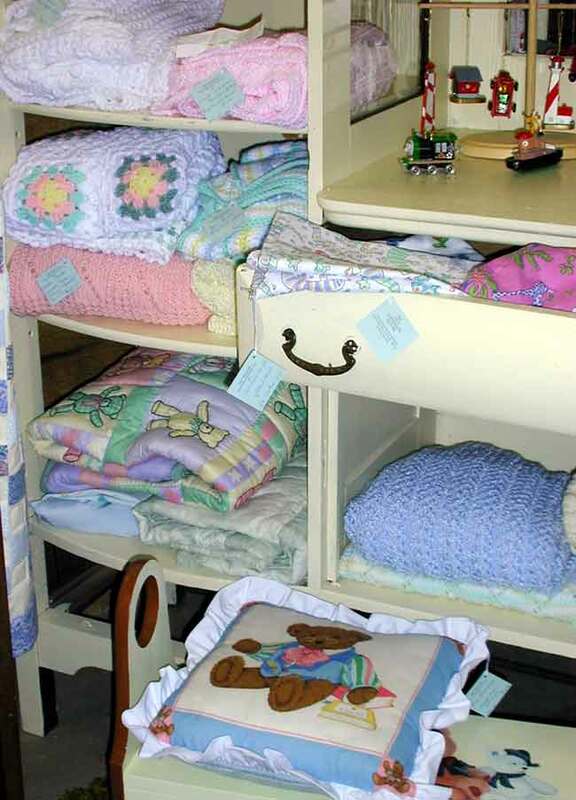 That special gift for a baby shower, or your own new baby or grandchild, is right here in the nursery area. Crocheted and knitted dresses and sweater sets, baptism dresses, crib quilts are so exquisitely stitched they are sure to become heirlooms. Choose from our wall hangings, toys tapestries, dolls, teddy bears, cushions and pillows and slippers. For the toddler, there are overalls, dress sets, hats, vests, and sweaters.